With a growing number of expatriates loving its mix of cosmopolitan lifestyle, medieval history, and a rewarding job market, Brussels brings out the best of an expat life. Over a thousand years old and still thriving, Brussels remains to be the famed agglomeration of 19 municipalities that brim with pride as the seat of the Belgian government and administrative hub of the European Union. Brussels is made up of Bruxelles, Jette, Ganshoren, Berchem-St.-Agathe, Koekelberg, Schaerbeek, Evere, St.-Josse-Ten-Noode, Molenbeek-St. Jean, Anderlecht, St.-Gilles, Ixelles, Etterbeek, Woluwe-St.-Lambert, Woluwe-St.-Pierre, Andeghem, Watermael-Boitsfort, Veele, and Forest - the 19 lovely neighborhoods also termed as communes, which any expat can visit anytime in a bus. But the weather throughout the communes can be erratic as well, sometimes giving people an experience of four seasons in a day due to diverse landscape and aquatic resources. The city has a high average of annual rainfall and expats will do well having rain gear in handy as downpours may be expected any time of the year. Snow is highly possible, but not frequent even in winter. Those who do not adapt well to swift weather changes may find it wise to pack in a variety of warm clothing from a light jacket to a heavy sweater. With weather swinging from wet to hot and humid to freezing, some expats find it wise to wear layered clothing to make changing clothes easier. An umbrella is a definite essential. Citizen or expat, there is so much to enjoy in Brussels, from its world-famous chocolates and pancakes to its distinct beer. Indeed, it is a city full of surprises ranging from its enthralling countryside to its rich cultural history, evident in its medieval architecture, breathtaking boulevards, impressive monuments and historic buildings, all of which are well worth a visit any time of the year. Dutch, French, and German are the three official languages in the communes, German being the most widely spoken, followed by French and then Dutch. Numbers of non-official minority languages include English, which is the standard language for communicating. Most European expats do not have a problem with communication, but Asians sometimes have to take the extra mile trying to cope with the language barrier. This diversity in Brussels is even more evident with the variety of religions practiced, with Roman Catholicism being the most dominant, followed by minorities that include Protestants, Orthodox, Anglicans, Buddhists, Jehovah's Witnesses, Seventh day Adventists and Jews. 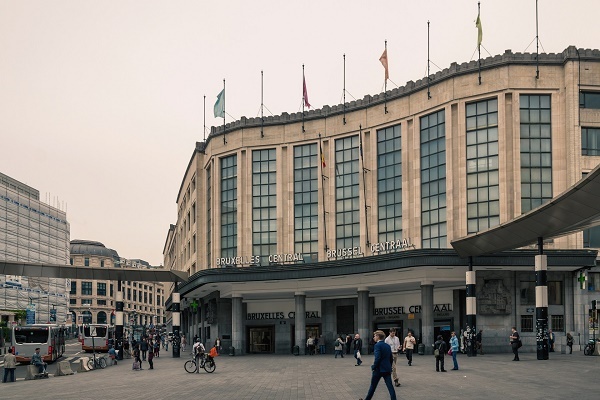 Brussels is known around the world as the de facto capital of the EU but not many are aware of its pleasant surprises to the expatriate community. The city has about 2,000 enterprises run by expats and employs the most hardworking people in the world. Understanding this makes it easy to conclude that when it comes to livability, this city is almost a dream-come-true for expats who have already found their home anywhere in the communes. Brussels have always been a home to many expats from different parts of the world because of its multi-faceted culture and diverse population. Aside from sumptuous waffles and mouth-watering Belgian chocolates, you will also find employment opportunities from the many international organisations which are the biggest job providers in the city. Here are a few guidelines that will assist you in relocating to the thriving capital of the European Union. There are online portals that post real estate properties in Brussels. You can start your search by browsing through these websites even before you relocate so you will have an idea about the prices of the rent and their locations. Once you arrive, you can check the newspapers for advertisements or contact local realtors to help you with your search. These professionals are very familiar with the neighbourhoods and have wider range of options in the housing market. When moving abroad, it's better to prepare a separate budget for your utilities (water, gas, electricity and garbage collection) because some landlords do not include it in the rental pay. In Brussels, the average monthly cost for your essential services is €140. You can also get internet connection for around €40 per month and make local mobile prepaid calls at €0.20 per minute. Brussels have a low cost of living which includes rental prices and property costs. The landlords also give expats the flexibility to choose between a short term or long term lease agreement based on their desired length of stay. The city is small, so it will not be hard for you to find a place to live. You can find a one bedroom apartment in the city centre for around €800 and a three bedroom unit for roughly €1500 per month. There are also accommodations in neighbouring districts where the price of a one bedroom flat starts at €650 and €1150 for a three bedroom unit. A majority of expat children are studying in one of the city’s international schools which are using either English or bilingual. Some of the curriculums that they are using are from Germany, France, and the Netherlands. You can check the Bogaerts International School, which uses the International Baccalaureate Program in their educational system. Brussels also implements mandatory education for children up to 18 years old. There are many public and local schools that you can choose from like the University of Brussels which provides quality education since 1834. Bringing your belongings abroad is one of the tasks that require a lot of time and attentions especially you wouldn’t want to leave anything behind or lose track of the delivery. To make your relocation easier, you can hire a shipping and removal company to help you with the whole moving process. They will take care of everything until you receive your packages in your new home. The average shipping time by seas is 2-10 days, which will still vary depending on your country of origin. Containers bound to Brussels are delivered in the Port of Antwerpen where they are subject to inspection by local customs officers. For further knowledge about the city’s import regulations, click here. If you like to take your pet to Brussels, you have to make sure that it has an ISO microchip and rabies vaccination between 21-30 days before its arrival. You also need to bring the Rabies Vaccination Certificate and International Health Certificate both signed by a licensed veterinarian. An updated Pet Passport is required for dogs, cats and ferrets coming from an EU country. There are many things to marvel at once you arrive in Brussels. Aside from a promising career, you will also live amidst the city’s historical and world-renowned landmarks like The Grand Palace; a mixture of gothic and medieval architecture which holds the title as the most beautiful square in Europe. More than six hundred years ago, Brussels was only known to travellers as a pit stop for a delicious waffle on their way to Bruges. Today, it is the booming capital of Belgium that houses 1.9 million people where nearly 30% are expats. Brussels developed to be a powerful city that serves as a seat of the European Union and a headquarters of NATO. Brussels has a total land area of 161.4 square kilometres, and its heart is the majestic town hall that overlooks the city centre. In the midst of modern infrastructures that were built when the Belgian economy took off are the well-preserved guild houses famed for their ornate halls and gothic statues; adding deeper character to the already beautiful town square. With Belgium smacked in the crossroads of France, Germany and the Netherlands, one can expect that Brussels has become a home to expatriates from all parts of the globe that are living side-by-side in a culturally diverse community. Brussels has an unmistakable international flair that can be felt from the thousands of inhabitants that came from various nationalities. It is the bilingual capital of Belgium where Dutch and French are the two official languages. The locals in this city are known for their high standard of living, strong family bonds with a deep love for arts. They also have a unique sense of humour considering that their iconic and most photographed 17th-century bronze statue, the Mannekin Pis is a little boy peeing indiscreetly in the middle of the square. Generally speaking, the Belgians take cleanliness as a national pride so expats must pay significant attention when it comes to maintaining their surroundings be it in their neighbourhood or work. The community in Brussels is also known for being egalitarian where everyone is given equal opportunity and treatment regardless of their gender or nationality. Brussels is a gem that holds numerous beautiful attractions that expats can visit during their free time. Overlooking the town square is the Grand Place, a UNESCO World Heritage that was bombed by the French army on August 13, 1695. It was rebuilt in the 19th century by Charles Buls, the former city mayor and now serves as Brussels’ most famous and memorable landmark. Expats can also visit the city’s museums such as the Royal Museums of Fine Arts of Belgium that displays 14th to 20th-century paintings and works of René Magritte, a Belgian surrealist painter. 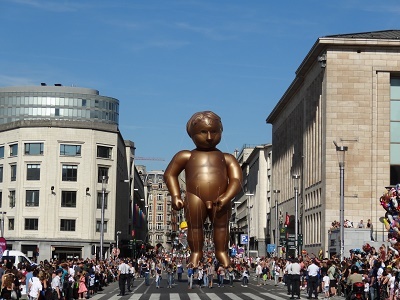 Brussels take pride in their many festivals. If you visit Brussels in July, you will witness a grandiose parade through the Grand Palace. December 6th is also a favourite holiday of kids and those who are young at heart as presents and sweets are delivered in each house in honour of Saint Nicholas. Expats who will move to Brussels will also benefit from the city’s central location which makes it easy to do side trips to neighbouring north coastal towns such as Cadzand in the Netherlands and Oostende. 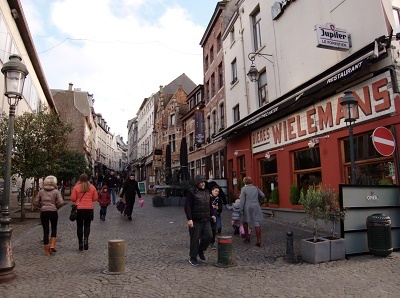 There are also several valleys, forests and outdoor spaces in the south of Brussels particularly in the village of La-Roche-en-Ardenne in the Ardennes region. This city is highly regarded as one of the gourmet capitals of the world mainly because of its world class beers, mouth-watering waffles and iconic Belgian chocolates. One of the staples of the local cuisine is seafood particularly the Brussels mussels. Expats living in this city will not run out of restaurants to visit where they can taste both international and authentic Belgian cuisines. There is also the 24/7 open Vatel Bakery, a home-grown bakery that serves the best pains au chocolat and croissants in all of Belgium. Those who want to experience the true food culture of Brussels can also go to the Sunday Market at the Midi Station where they can choose from a wide selection of fresh produce as well as multinational cuisines that range from Moroccan crepes to authentic Belgian dishes such as Flemish Stew, frites (fries) and grey shrimp croquettes.